Enjoy a two-hour dinner cruise on the calm waters of Lake Mead for a relaxing evening away from the hustle and bustle of Las Vegas. Located less than an hour from Las Vegas, Lake Mead offers you the opportunity to take a break from the Neon Jungle and enjoy a wonderful cruise aboard the Desert Princess. This authentic paddle wheel boat was built especially to cruise the blue waters of Lake Mead. Cruise in climate-controlled comfort on one of the two enclosed decks or feel the wind in your hair and the desert sun on your face up top on the open promenade deck. 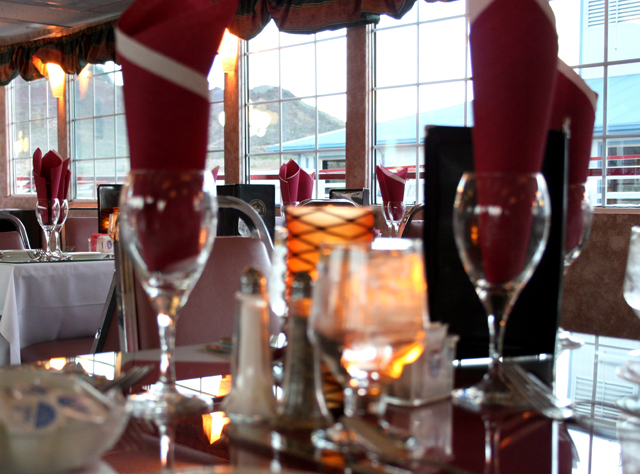 Enjoy a full course dining experience with your choice of Prime Rib, Seafood, Chicken, Pastas, or Vegetarian entrees. There is also alcohol available for purchase aboard the boat, must be 21+. Enjoy an enchanting evening tour cruising the calm waters of Lake Mead, one of the world’s largest man made lakes. Casually stroll along the deck and visit the Captains Bridge of this amazing Mississippi Style Paddle Wheel Boat. You will also be able to view the unique sights of the Hoover Dam towering above you as well as the spectacular new Hoover Dam Bypass Bridge. Experience the amazing evening views, unique scenery, and the wildlife surrounding Lake Mead. Lake Mead Dinner Cruise Inclusions Transportation Aboard A Luxury Motor-coach. Photo Stop At The Historic 'Welcome To Las Vegas!' Sign. Hotel Pick-Up For Most Hotels Located Downtown Or On The Las Vegas Strip. Dining Choice Consisting Of Prime Rib, Salmon, Chicken, or Vegetarian/Pasta Option. Park admission. Duration is approximately 5 1/2 - 6 hours.